TORONTO, March 28, 2017 – Avanti Computer Systems Limited, a leader in Print MIS solutions, today announced that Avanti Slingshot® is the first print MIS to integrate seamlessly with MarcomCentral JobDirect® Plus. The integration facilitates job submission through the online portal, providing real-time status for each job in process. The collective power of these two solutions enables print providers to easily bolster overall efficiency, reduce “islands of automation” and eliminate breakpoints in the workflow, while giving their customers an easy and effective way to digitally build and customize orders. Award-winning Avanti Slingshot enables print providers to work more efficiently, control costs and move jobs through the shop without delays. JobDirect Plus helps translate production capabilities directly to the customer, reducing disruptions for one-time submissions. The integration with Avanti Slingshot manages crucial backend processes like reporting, estimating, imposition, inventory management, scheduling, shipping, billing and more into a single, streamlined workflow. 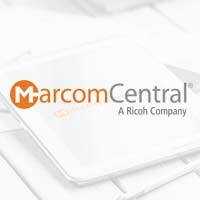 MarcomCentral’s JobDirect Plus is a SaaS-based offering that provides a simple and intuitive way for print providers to engage with customers through a customizable online portal that drives a fully-automated production workflow. Using a sleek, contemporary user interface, customers can visually build their products on-the-fly, specify an array of features and finishing options, preview their submissions live and submit online through virtually any application. MarcomCentral®, formerly PTI Marketing Technologies®, is a leading provider of software solutions for print service providers since 2000. Our core products include MarcomCentral Web-to-Print, a cloud-based Marketing Asset Management solution that produces web-based corporate marketing portals for brand management, asset distribution, and customized marketing materials, and FusionPro® VDP, scalable variable data publishing software that generates dynamic personalized marketing campaigns, automated VDP workflows, and custom web solutions.